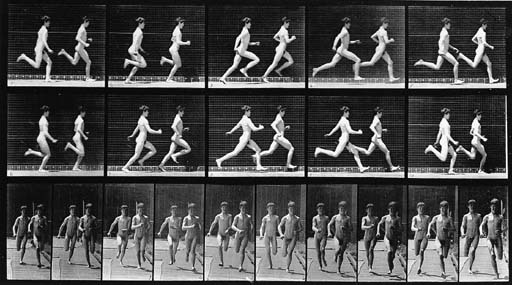 These are plates from Animal Locomotion, An Electro-Photographic Investigation of Consecutive Phases of Animal Movements, 1872-1887, published under the auspices of the University of Pennsylvania, 1887. Comprising nos. 41, 47, 69, 214, 262, 340, 379 and 717.